Want to bring color to your event? 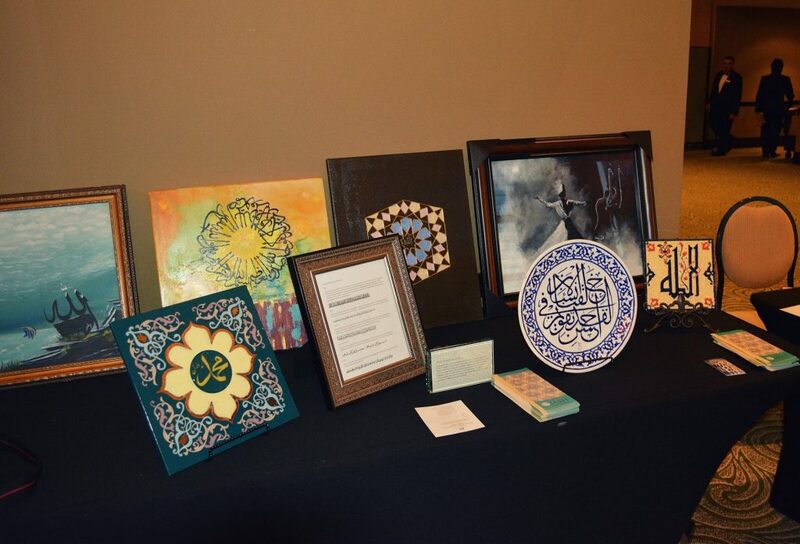 We are proud to partner with nonprofit organizations, schools, libraries, museums and mosques for cultural and educational activities pertaining to Islamic Arts. 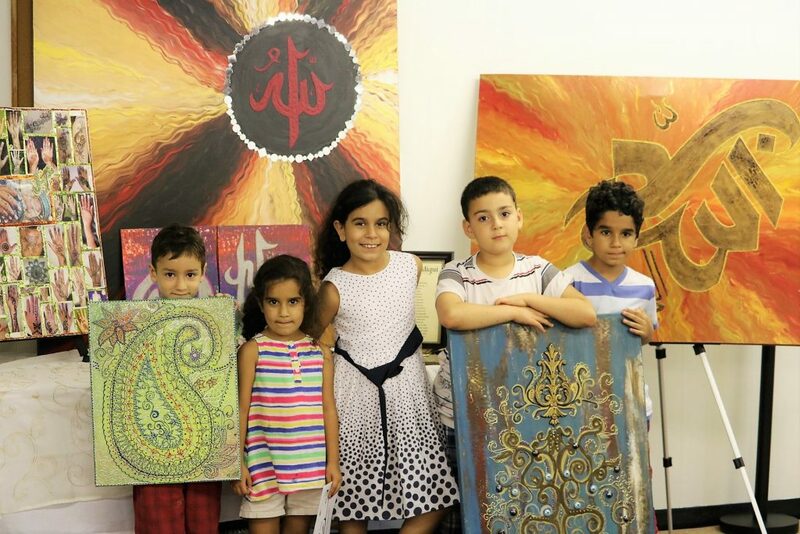 We can provide art exhibitions, displays and art workshops that are very popular among families and children. Our live demonstrations bring color and creativity to your events. 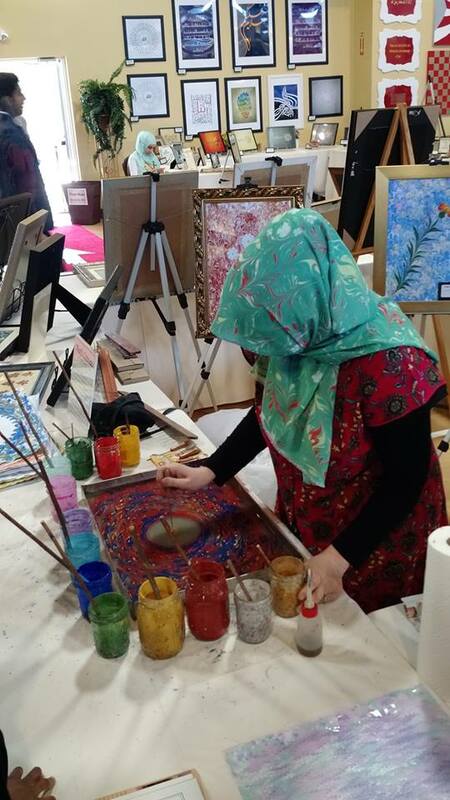 We can do Ebru (water marbling), henna, painting and calligraphy activities depending upon your needs. Our interactive sessions are very popular and provide good source of entertainment and education. 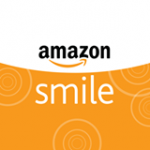 We also collaborate with non-profits to arrange charity auctions for fund raising. We can either provide art pieces, produced by one of our talented artists, for auction during their charity fundraising Gala or do a joint online fundraising campaign. To schedule an event please contact us by sending an email to outreach@www.iash.ourlivedemo.com at least 4 weeks before your event. 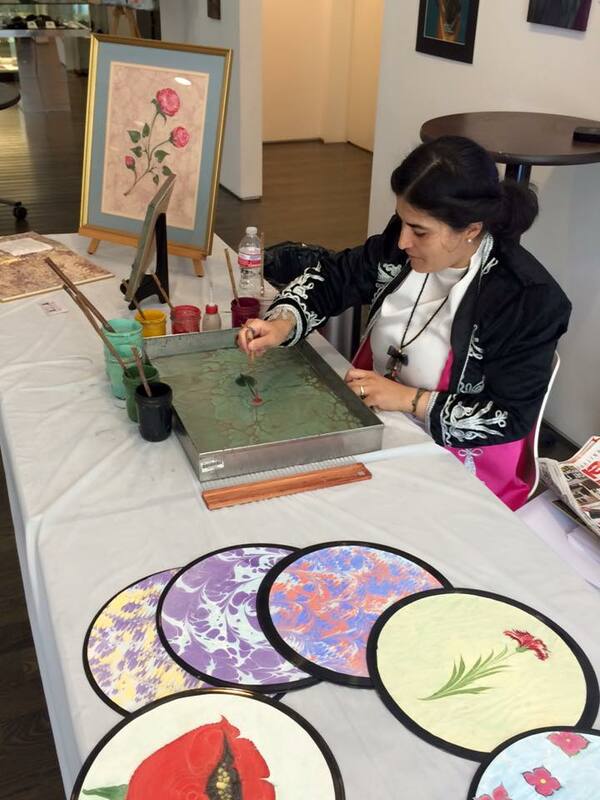 “The Kingwood Library held a special SAGE program on Tuesday June 6th featuring a live Ebru demonstration with Artist Nihal Sonmez of the Islamic Arts Society. 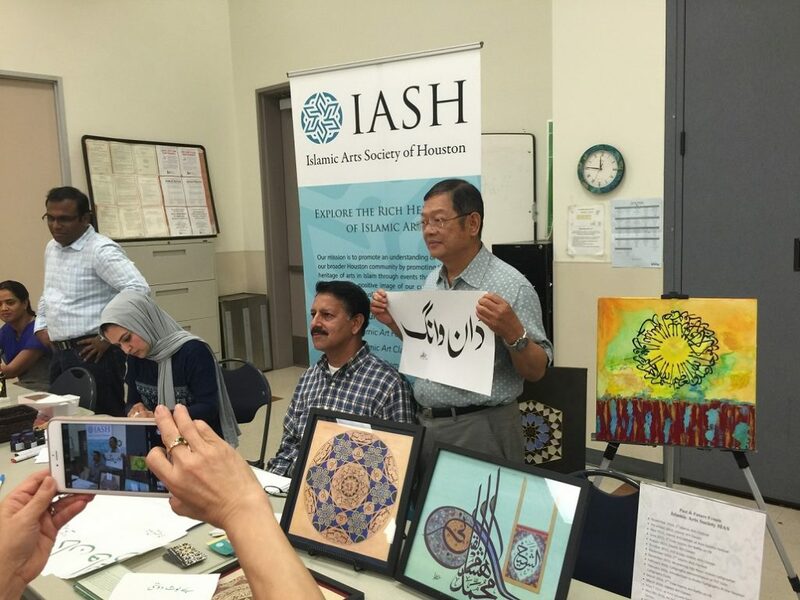 Event attendees heard a brief history of Islamic arts and then watched as Ms. Nihal Sonmez demonstrated how to marble an image of a rose. Later, participants had the opportunity to create and marble images themselves! 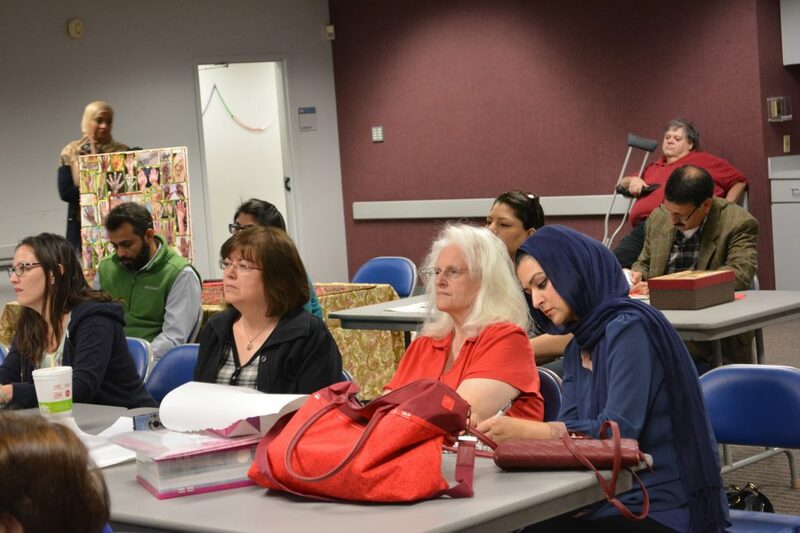 It was a fun, enjoyable, and educational morning.” Pamela Reece, Adult Services Librarian, Kingwood Branch Library. 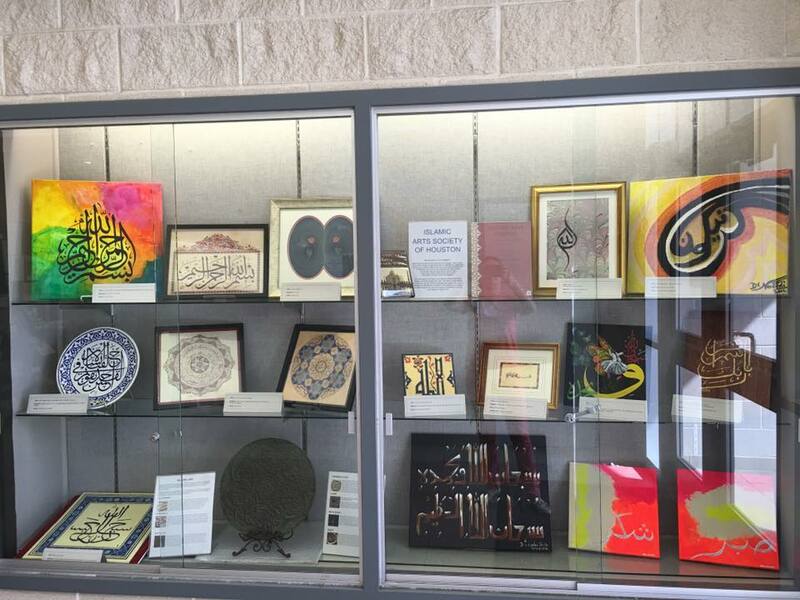 “Octavia Fields Library would like to thank Islamic Arts Society’s Zohra Siddiqui & Dr. Khawaja Azimuddin for this wonderful experience our community and library had a chance to enjoy today!!! Tremendous amount of compliments from our customers who attended the Henna presentation and Henna/Calligraphy application! The gallery of art works was so special, too! 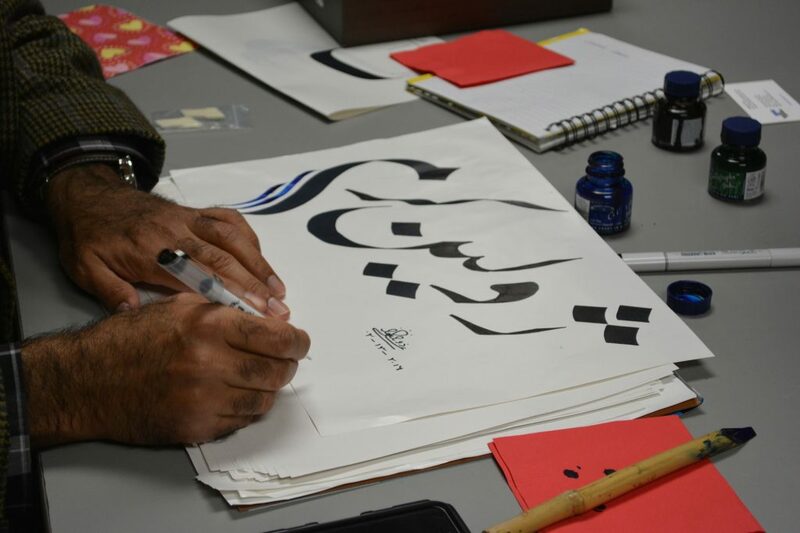 We are so appreciative for this opportunity to learn and enjoy the Henna and Calligraphy Art! Thank you so much and looking forward to continuing our partnership!!! !” Jana Hoglund, Branch Manager, Octavia Fields Library. “We had an amazing LIFE program today by Zohra Siddiqui with assistance by artist Fatema Josh. 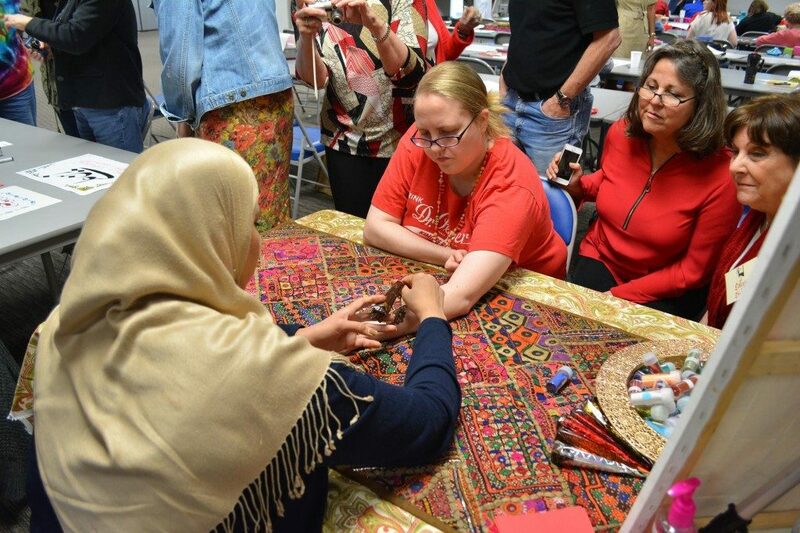 The Islamic Arts Society truly was able to cross cultural boundaries with the wonderful interactive henna tattoo presentation by Zohra. Our presenters were so personable and caring and easy to talk to and ask questions. And they are also talented artists as evidenced by the lovely display they created in the library. Thank you for coming to the library and giving us a little taste of your culture. I think I am starting to understand why henna means happiness. You brought a little happiness into LIFE today. Hope you come again”. Claire Gunnels. Lone Star College. CyFair.